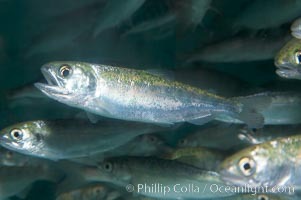 Chinook salmon (or King salmon), juvenile, 1 year old, raised in a tank for eventual release into the wild. This fish will live to about 5 or 6 years before returning to the stream in which it was hatched to spawn and die. Chinook salmon, Oncorhynchus tshawytscha Photo. Chinook salmon (or King salmon), juvenile, 1 year old, raised in a tank for eventual release into the wild. This fish will live to about 5 or 6 years before returning to the stream in which it was hatched to spawn and die. Chinook salmon, Oncorhynchus tshawytscha Picture. Chinook salmon (or King salmon), juvenile, 1 year old, raised in a tank for eventual release into the wild. This fish will live to about 5 or 6 years before returning to the stream in which it was hatched to spawn and die. 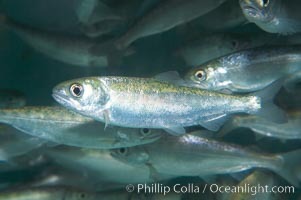 Stock Photography of Chinook salmon, Oncorhynchus tshawytscha. 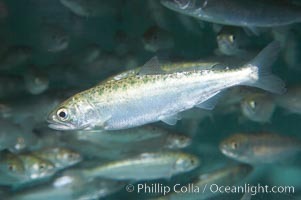 Chinook salmon (or King salmon), juvenile, 1 year old, raised in a tank for eventual release into the wild. This fish will live to about 5 or 6 years before returning to the stream in which it was hatched to spawn and die. 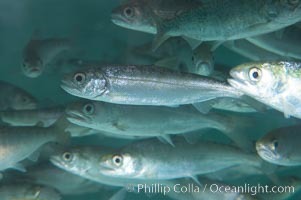 Photograph of Chinook salmon, Oncorhynchus tshawytscha.